Who’d have ever thought a lemon juicer could be so damn cool!? 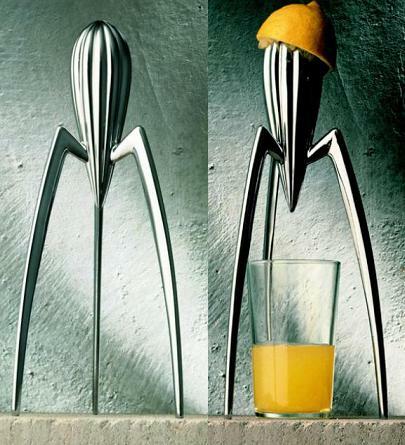 Looking for all the world like a mid century design masterpiece, the ‘Juicy Salif’ actually hails from 1990. It was designed by a French bloke called Philippe Starck, who scribbled the design on a napkin over a dinner of squid in a restaurant. Manufactured by Italian company Alessi, it has become a famous piece of design – it’s even featured in the New York Museum of Modern Art! Sure sometimes you get some pips in your juice, but much like an old car sometimes you have to sacrifice practicality for style. 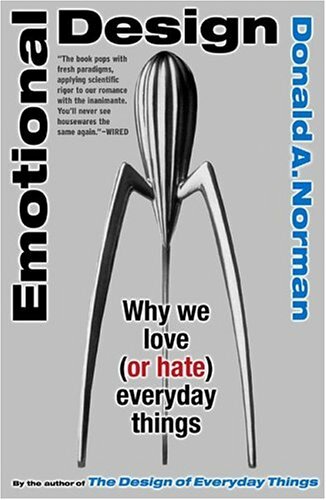 The Juicy Salif also featured on the cover of a book called Emotional Design, which was written by Donald Norman. The book explores the concept of how our emotions play a key part in how we gauge the effectiveness or value of an item. Donald describes the Salif as an “item of seduction”, and a chief example of his ideas.